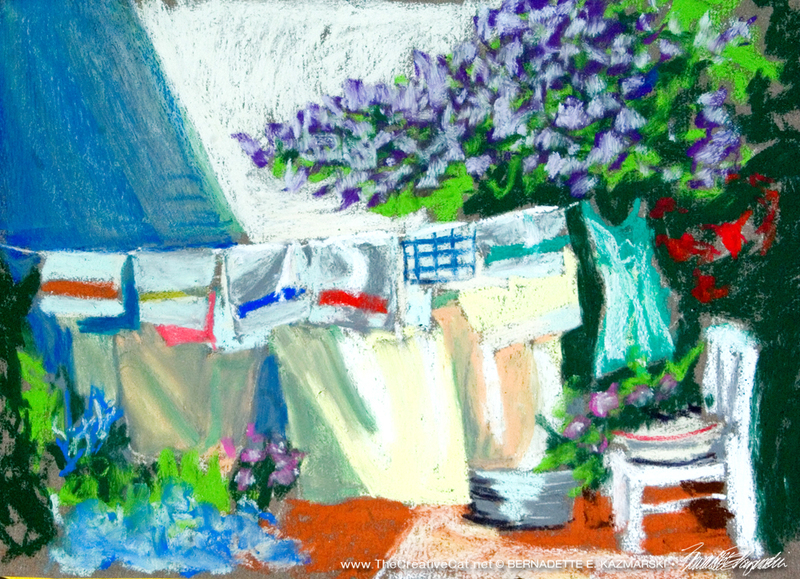 “Lilacs and Laundry” is an original pastel sketch, 9″ x 12″ painted in my back yard in May 2013. 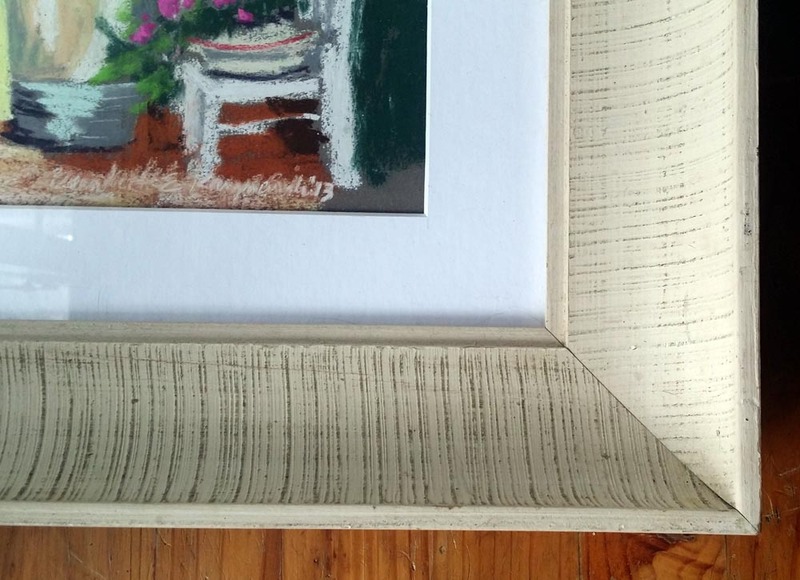 It’s framed in a vintage mid-century Danish modern solid wood scoop frame with a white mat. 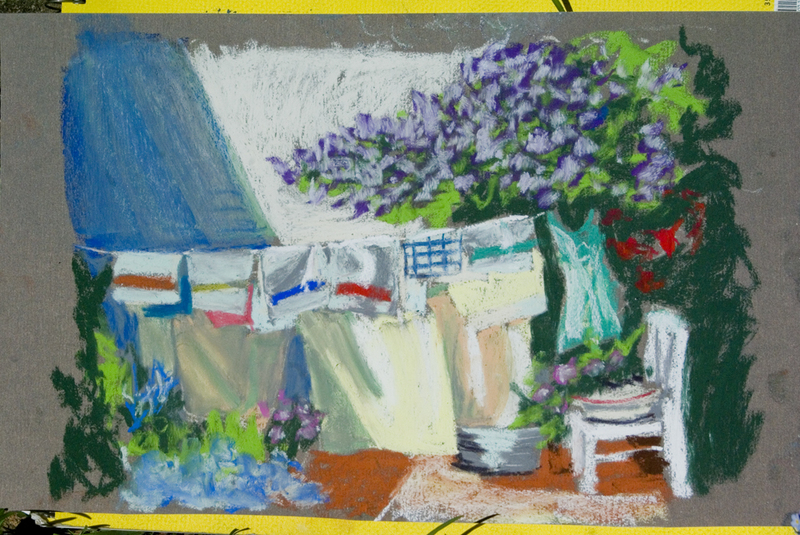 Here’s the uncropped version of the sketch so there’s actually more of the painting than shows in the framed piece. 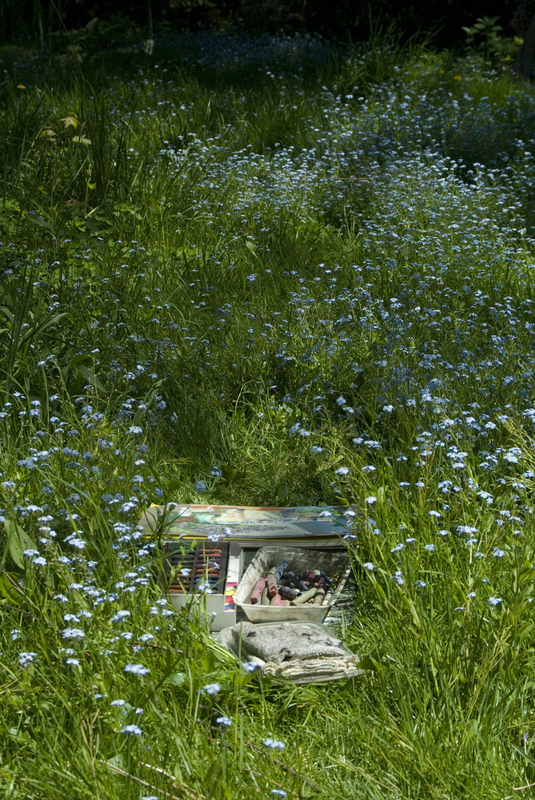 This entry was posted on May 7, 2016 by Bernadette.